DEEJAY Konshens is talking — and living — the talk of the musically conscious. It may sound simple, but in reality this is a tremendous feat for the young artiste whose 2005 single Pon Di Corner thrust him into an international spotlight for which he was ill-prepared. That song, a combination with his older brother Delus, worked its way across the continents and claimed the number one slot in Japan. This prompted a one-month tour of that country and the release of an album exclusively for the Japanese market in 2006. "The first time I sang as a professional was in Japan," Konshens disclosed, adding that the experience was like attending a university. However, it would take another two years for the artiste to move up from freshman to graduate. It was his 2008 single, Winner, that really placed him in the spotlight locally and on the wider international circuit and gained for him many accolades including Best New Artiste and Song of the Year. The single was so impactful, that it took on a life of its own. Before you could say 'winner' the artiste was off on tour to far flung places in Europe that he'd only read about. He was given a stage, a microphone and told to perform in front of a multitude of fans who spoke every language except English, but who knew his songs word-for-word. As surreal as the situation was then, Konshens knew that this would prove the greatest learning experience of his life and he had to be alert and live every moment. As he traversed Europe, parts of Asia and the many islands of the Caribbean, there was one universal truth which kept hammering home - the power of reggae music and the respect that other cultures have for this Jamaican gold. "When you look at a crowd of thirty thousand people and they hardly know a word of English, but they know the words of your own song better than you -- and even have lines from the song tattooed on their bodies -- that's when you as a reggae artiste fall in love with the music," he said soberly. "We don't know what we have, because if we knew then we would be doing everything to preserve this treasure, instead of trying to convert it into some other genre," the youngster said, sounding like a seasoned veteran. 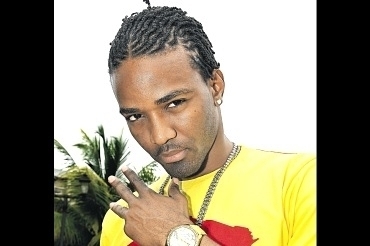 Konshens was quick to point out that he was no goody-two-shoes and was equally guilty of not playing a role in the preservation of the music. But that was out of ignorance -- before he had his "Europe experience". Now armed with knowledge, the artiste is singing the praises of straight reggae, the type that is cherished by the Europeans, the Japanese and other cultures. "It is up to us to rescue reggae because it is all we have and it is dying. I have been touring straight for the past three years and taken time off to get in sync with the home base. Now that I have my own label, SubKonshus Music, the production and the songs will be guided by all that I have learnt," vowed Konshens.